So you recently bought a new Android tablet Which Android Tablet Should I Buy? 7 Things to Consider Which Android Tablet Should I Buy? 7 Things to Consider If you're thinking about getting an Android tablet, these are the things that you need to take into consideration. Read More , but you’re starting to feel like it’s nothing special. It feels like an unwieldy smartphone or an inconvenient laptop. What good is this device that you just bought? Aside from the usual tablet uses — like browsing the web 4 Of The Fastest Tablet-Optimized Browsers You've Never Heard Of [Android] 4 Of The Fastest Tablet-Optimized Browsers You've Never Heard Of [Android] Android tablet browsers, generally speaking, are not that great. Most of the big four browsers suffer from poorly sized buttons and sluggish performance. The tablet-optimized alternatives mentioned in this article, which you may not know... Read More , processing word documents Forget Your Laptop - You Can Word Process On Your Android Tablet With These 4 Superb Apps Forget Your Laptop - You Can Word Process On Your Android Tablet With These 4 Superb Apps As mobile devices become more and more prominent as productivity tools, so an increasing number of apps offering solutions become available. Earning my living as a freelance writer, I’m particularly interested in word processing on... Read More , and offline GPS navigation The 8 Best Free Offline GPS Apps for Android to Navigate Anywhere The 8 Best Free Offline GPS Apps for Android to Navigate Anywhere Need directions on your phone but don't have an internet connection? These offline GPS apps for Android will help you navigate. Read More — you may be wondering what other stuff you can do to really make use of your new purchase. It doesn’t even have to be new. Maybe you have an old tablet sitting around instead. Rest easy, because you’re in luck. With a few simple apps and a bit of ingenuity, your Android tablet can be more useful than you might think. For those of you who are DSLR photographers, have you ever seen videos where professional shooters have their cameras hooked up to a laptop so they can see full previews of their shots in real time? The LCD previews on most DSLRs are fine, but wouldn’t a larger screen be more convenient? Fortunately, you can get the same effect by downloading the DSLR Dashboard app [No longer available] for free from the Play Store. You’ll also need to purchase a USB On-The-Go (OTG) cable, but these can be found for just a few dollars on Amazon. Make sure the USB OTG matches the right kind of interface for your tablet (usually MicroUSB). 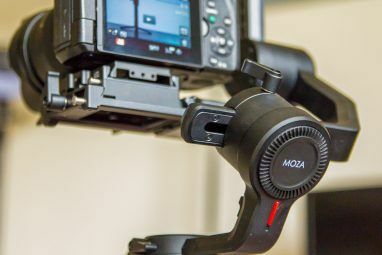 Once you connect your camera with its USB cable, you then connect that USB to the USB OTG, and then plug the USB OTG into your tablet. It’s a similar kind of setup to connecting a USB keyboard to an Android device How to Connect a USB Keyboard to Your Android Phone How to Connect a USB Keyboard to Your Android Phone Ever wanted to use a real keyboard on your Android device? Lucky for you, it's actually pretty easy to set up. Read More . DSLR Dashboard works with any camera that has PTP, which includes most Nikon and Canon models. It may seem silly to use an Android tablet as a second monitor, especially because these tablets tend to be 10-inches or smaller. While it doesn’t exactly offer the best amount of screen estate, it can be useful on the interim. Maybe you don’t even need that much extra space, in which case a tablet would be fine. You can do this with an app called Splashtop Extended Display HD, which connects your tablet to your computer over WiFi to be used as a second display. There’s a bit of lag due to the lack of a wired option, but it’s still the best option on the market right now. It costs $5 for personal use. The other two alternatives are iDisplay for $5 (outdated and has issues with compatibility) and Air Display 2 for $30 ($10 for Android + $20 for Windows, and it also has some compatibility issues). We’ve gone over how to turn Android devices into a security camera network How to Build a Security Camera Network Out Of Old Smartphones How to Build a Security Camera Network Out Of Old Smartphones There's no better use of old smartphones than by building your own DIY network security camera system -- we show you everything you need to know! Read More , but that kind of camera work is useful for a ton of other things. For example, to keep watch over a baby or a child without having to hover over them in person. In other words, an Android security monitor How to Use an Old Smartphone or Tablet as a Security Camera How to Use an Old Smartphone or Tablet as a Security Camera Learn how to easily set up your Android device to act as a home security camera! Read More . With the brilliant IP Webcam app, which is available for free on the Play Store, your tablet becomes a camera that can stream to any on-network device that has a web browser or VLC Media Player 7 Top Secret Features of the Free VLC Media Player 7 Top Secret Features of the Free VLC Media Player VLC should be your media player of choice. The cross-platform tool has a bag full of secret features you can use right now. Read More . Once set up, just point your tablet in the right direction. You can also mount your tablet onto a holster and use it for long-term surveillance. Whenever I’m cooking a meal, my tablet is there with me. I like to experiment with new recipes on the regular, so it’s nice to have the tablet there because all I have to do is pull up the recipe, and I’m good to go. But even when I don’t need a recipe, the tablet is still useful for making on-the-fly measurement conversions. My setup is simple. Whenever I find an interesting recipe, I clip it to Evernote. Evernote seamlessly syncs between my desktop activity and my Android devices. In my kitchen, the tablet is mounted on a traditional cookbook holder so it stays clean and out of the way. That’s it! What if you could use your tablet to dim the lights, adjust the thermostat, turn appliances on and off, lock and unlock your doors, or even draw your window shades closed? What most people don’t realize is that all of this is already possible! It’s called smart home automation, and you should give it a try. It all starts with a smart home hub Which Smart Hub for Home Automation Is Best for You? Which Smart Hub for Home Automation Is Best for You? For a while, people thought of the idea as nothing more than a gimmick, but recent product releases have shown that smart home automation is starting to live up to its promises. Read More , and there are many to choose from, ranging in price from free and open source to a little over $100. Additional devices, like sensors and controls, will also add to the cost, but the good news is that you can buy them piecemeal. It’s all quite customizable. Just be sure to focus your attention on smart home features that are worth it Attention Homeowners: 5 Smart Home Features Worth the Extra Cost Attention Homeowners: 5 Smart Home Features Worth the Extra Cost Which smart home features are worth it? Which ones can be safely tossed aside and ignored? Let's take a look at a few that are actually worth the money. Read More rather than wasting your money on unnecessary smart home gadgets Don't Waste Your Time Waiting For These Smart Home Gadgets Don't Waste Your Time Waiting For These Smart Home Gadgets There are plenty of smart home products that sound great but simply aren't feasible or have taken too long to develop. Here are a few that you shouldn't waste your time waiting for. Read More . Android tablets are great for portably watching movies and TV shows. The screen, which is usually between 8 and 10 inches, is large enough to display sufficient detail without being cumbersome. But when you’re at home, the tablet provides another function: streaming to a physical television. If your tablet is HDMI-capable, you can go ahead and connect it to your TV right away (assuming your TV is also HDMI-compatible). If your tablet doesn’t support HDMI, you may still be able to do this with a MicroUSB-to-HDMI adapter. Once connected, whatever is on your tablet will show up on the screen. Another option is to stream using Google Chromecast 8 Creative Uses for Google's Chromecast 8 Creative Uses for Google's Chromecast We've come up with 8 unique uses for Google's Chromecast. 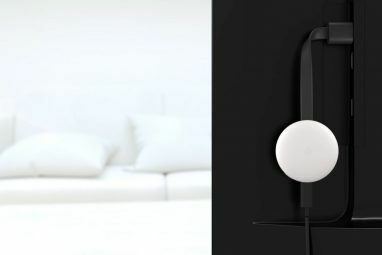 Read on to find out just how you can make even more use of your Chromecast. Read More over WiFi. This is more convenient since there aren’t any cables or adapters to deal with, and Chromecast is still in its infancy so you can expect to see continued improvements over the next few years. Install XBMC for Android 5 Reasons to Install Kodi on Your Android Right Now 5 Reasons to Install Kodi on Your Android Right Now Kodi, formerly known as XBMC, is a fantastic media app for Android, and you're missing out if you haven't downloaded it yet. Read More , and you can expand your access to all kinds of media, which complements nicely with either an HDMI connection or a Chromecast stream. If you’re thinking about cutting the cord and cancelling cable Cut That Cord! How to Ditch Cable Cut That Cord! How to Ditch Cable If you've read about the cord-cutting phenomenon but aren't sure where to start, this is a guide to cutting the cord and ditching cable TV for good... Read More , this is one of the best ways to do it. How Do You Use Your Android Tablet? Don’t let your Android tablet go to waste. If you only need it for Web browsing and ebook reading, that’s fine, but if you feel like your purchase was a waste and you aren’t satisfied, consider trying some of the above suggestions. You may start to wonder how you ever lived without it. Got any other creative uses for Android tablets? We’re always on the lookout for more ideas, so please share your thoughts with us in the comments below! 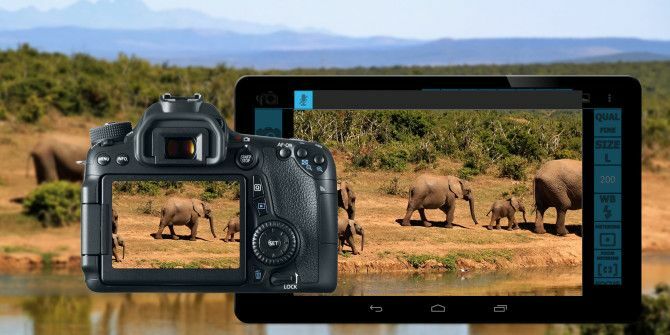 Explore more about: Android Tablet, DSLR, Mirroring.